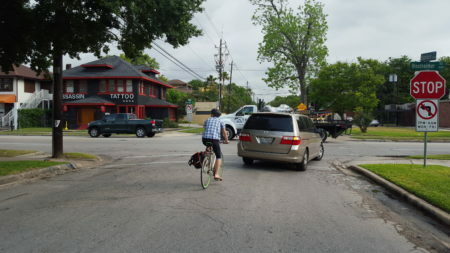 Some communities are trying to fix roads that are struggling to handle more traffic, while others want to improve their bike and pedestrian infrastructure. The Houston-Galveston Area Council has just under a billion dollars available in state and federal transportation funding for the nine-county area. After its most recent call for projects, the regional planning organization got nearly 200 funding requests from municipalities, counties, transit agencies, and management districts. H-GAC Transportation Planning Director Alan Clark said a lot of those requests involve projects that are already in the development phase. To decide which ones are funded they’ll look at factors like congestion relief, safety improvements and emissions reduction. They’ll also weigh comments from stakeholders. A final decision is expected this spring. As for what’s on the project list, Clark said many communities want to upgrade local roads that are now carrying a heavier bulk of traffic. 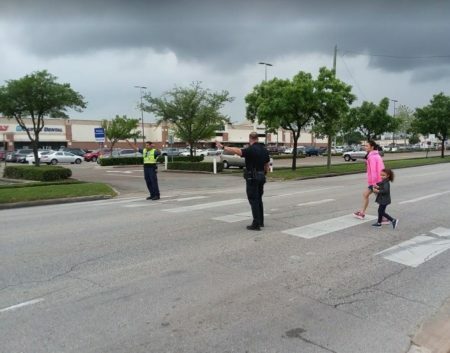 Some of those thoroughfares may need things like traffic signals and new turning lanes. 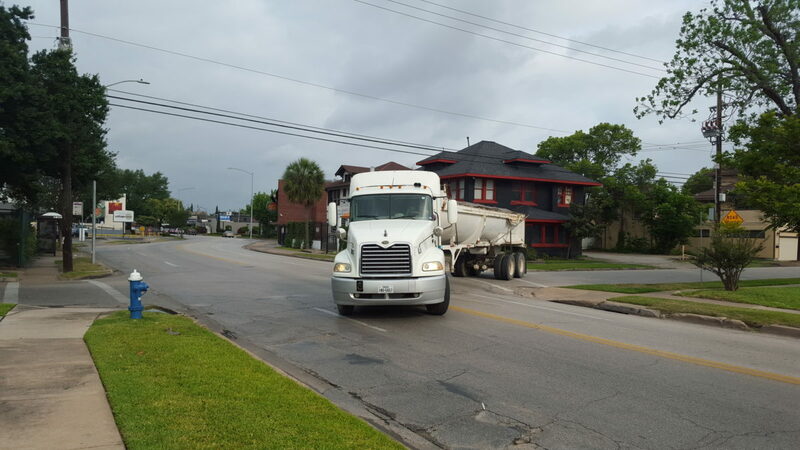 Other roads are in desperate need of maintenance after taking a beating from big trucks. 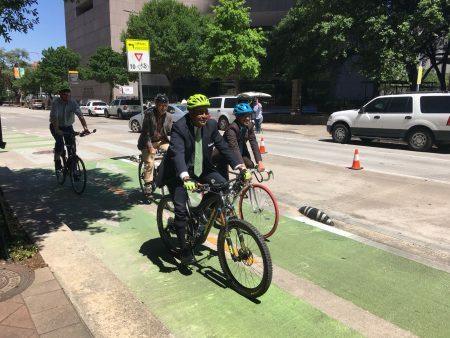 Clark added this clearly illustrates the need for greater transportation investment. “It’s very clear to me that local governments do not have all the money they need to adequately maintain their infrastructure,” said Clark. Other projects under consideration involve bike and pedestrian improvements as well as better access to transit. Clark told News 88.7 that funding requests for these kinds of projects have grown from their last call for projects two years ago. 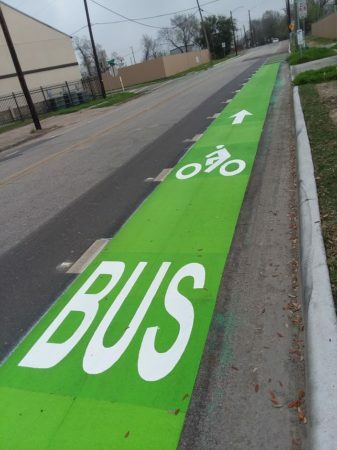 The City of Baytown is looking at several initiatives to improve access along the heavily-traveled corridor. 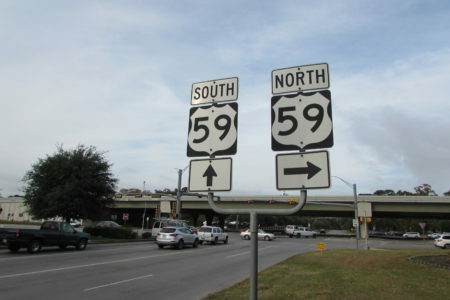 The city also wants to make changes at the Garth Road exit from I-10. The City of Houston is seeking funds for several thoroughfare projects, including the reconstruction of Westheimer Road from South Main to Shepherd. 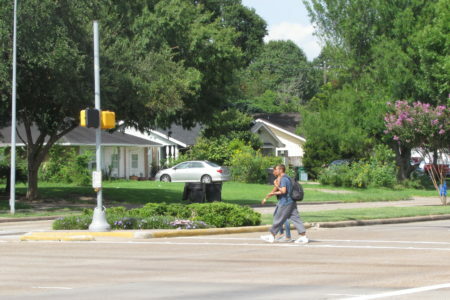 The project calls for wider sidewalks, transit improvements, and dedicated turn lanes. The City of Sugar Land wants to rebuild the roadway from State Highway 6 to Lexington Boulevard. That includes new left turn lanes along with drainage improvements. 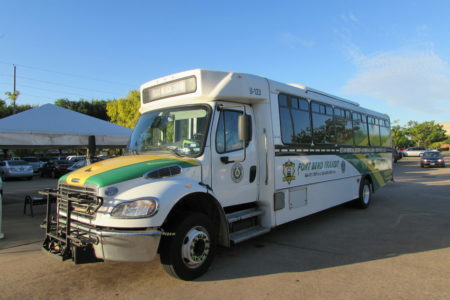 Fort Bend County wants to purchase 28 buses to support a new commuter route between Sugar Land and downtown Houston. Fort Bend County is planning three miles of non-tolled lanes between FM 1464 to south of West Airport Boulevard. 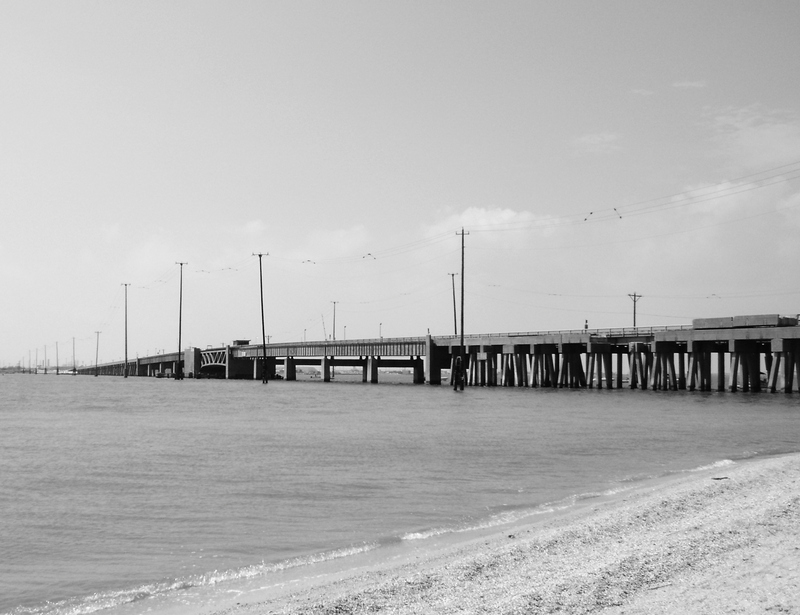 Galveston County wants to build a new concrete span to Pelican Island, the site of Texas A&M’s Galveston campus and Seawolf Park. 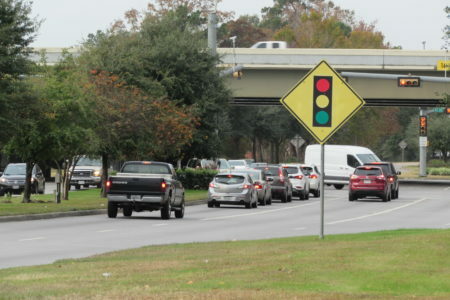 The Lake Houston Redevelopment Authority in Kingwood wants to make improvements along a one-mile segment of Northpark between Russell Palmer and Woodland Hills to improve traffic flow. 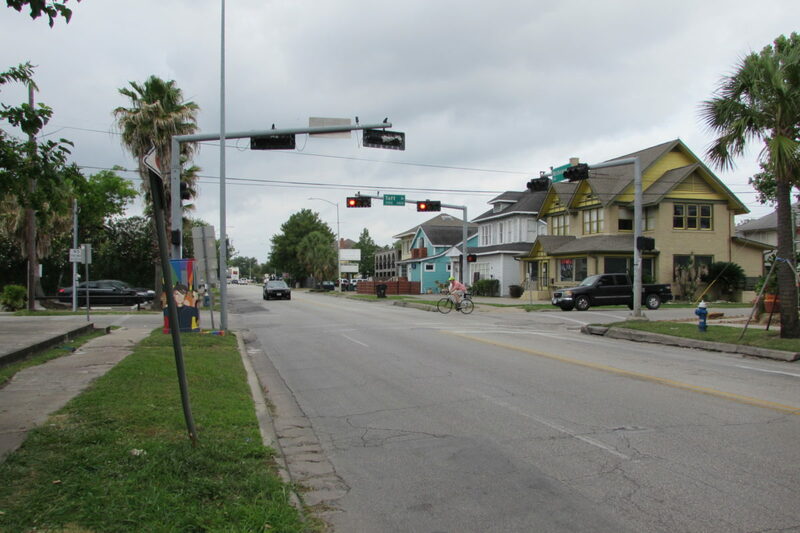 Memorial Heights Redevelopment Authority has plans for a ‘Complete Streets’ project from the 610 North Loop and White Oak Bayou. That includes intersection improvements along with bike and pedestrian access. 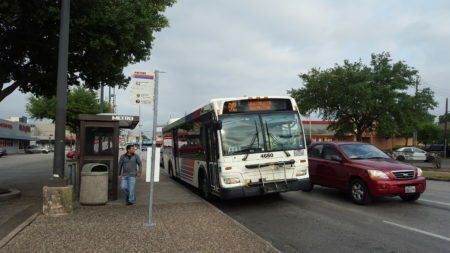 METRO wants to build a dedicated busway between the 610 West Loop and the Katy Freeway HOV Downtown Connector.